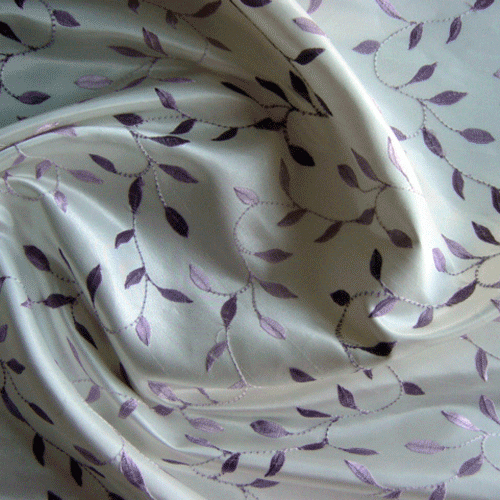 Get a sample of "Lavender"
High quality, faux silk polyester curtain fabric . Intrigue. 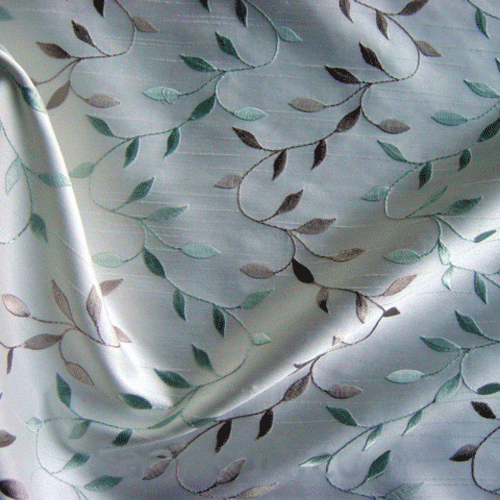 Fine embroidery on a subtle slub effect. 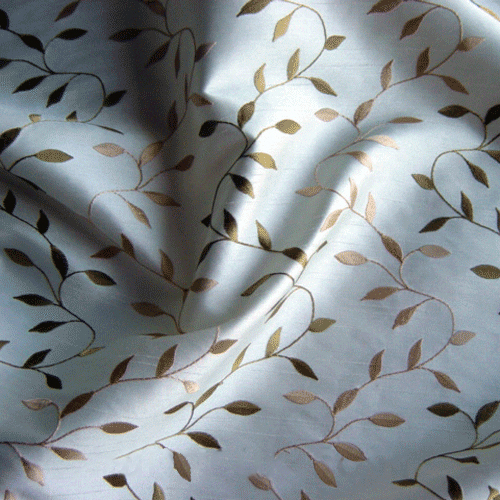 Featuring dainty flowers and graceful foliage. 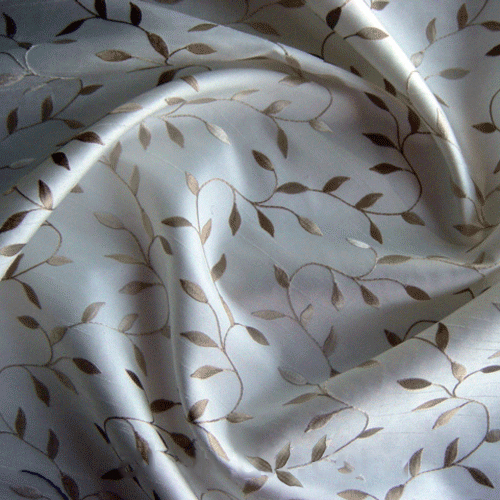 100% Polyester fabric. 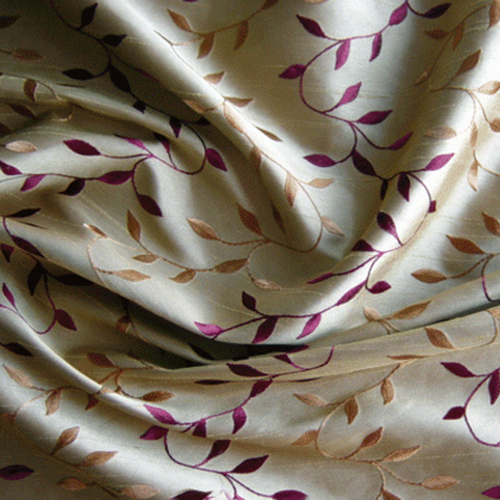 This fabric is machine washable, cool wash, cool iron. 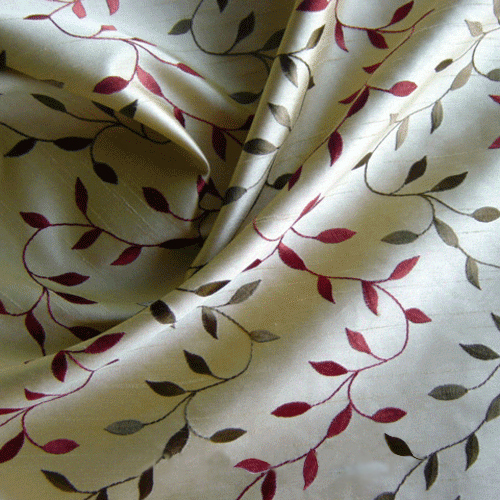 Pattern repeat is 16cm, width 137cm. Available in six beautiful shades.